Marketing Manager, Brisbane Racing Club. Bachelor of Business and Journalism (double degree), graduated 2009. Account Coordinator, Publicis Mojo advertising agency. I started out at as an Account Coordinator at Publicis Mojo, one of the big four Brisbane advertising agencies, overseeing the coordination of advertising campaigns for national and Queensland-based clients including Contiki, Tatts, KPMG, AP Eagers and ACT for Kids. I was then offered a role at Junior advertising agency as Account Manager across a range of clients including Treasury Casino & Hotel, Jupiters Hotel & Casino, QGC, ERM Power and Gold Coast City Council. 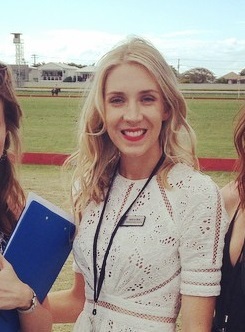 In 2013 I moved across to client side to work in marketing at the Brisbane Racing Club. Recently promoted to Marketing Manager, I oversee all marketing, events, public relations, strategies for Doomben & Eagle Farm Racecourses as well as the future development of the BRC Masterplan – and I love my job!